Cyber-crime is increasing at an alarming rate and so we treat Cyber Security with utmost importance. Our ongoing investment in the latest monitoring systems to alert us to any threats ensures we can act rapidly to keep your systems as secure as possible. By pro-actively reviewing your overall system security on a regular basis we can respond promptly and plug any identified weaknesses for your additional peace of mind. Working in partnership with leading suppliers, we have also developed additional security solutions to increase your protection and to help to prevent your company from becoming the victim of cyber-crime. Our unique Managed Security Service comes as standard to all our clients. The service will help to both detect and prevent vulnerabilities on your network. Ongoing evaluation of the latest security solutions ensures we can offer you the best levels of protection, both in terms of value and effectiveness. We constantly monitor key areas of your network for suspicious activity and take fast and appropriate action to any alerts. Your network security is our priority. Our engineers have the experience to manage serious security incidents. We act quickly to stop or mitigate the damage caused by a cyberattack. As new, increasingly severe security threats are emerging daily, our Managed Cyber Security Service is continually being updated to keep your system as secure as possible. Working in partnership with leading suppliers, we offer a range of security solutions to increase your protection and so help to prevent your company from becoming the latest yber-crime victim. The UK government has responded to ever increasing Internet security risks by developing a National strategy to make the UK a safer place to conduct business online. Cyber Essentials accreditation enables Small Medium Enterprises to confirm they have an appropriate level of Cyber Security in place. How Will Impact Computing Help with your Cyber Security? For your peace of mind, Impact Computing is compliant with the UK government’s Cyber Essentials Scheme. Our unique Managed Cyber Security Service is designed to help your business meet the requirements of Cyber Essentials. 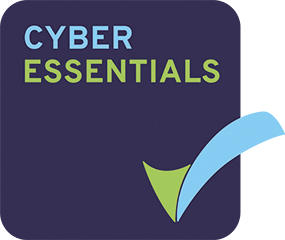 We can assist your company to gain the Cyber Essentials certification by completing the Cyber Essentials questionnaire and providing the necessary supporting evidence on your behalf.